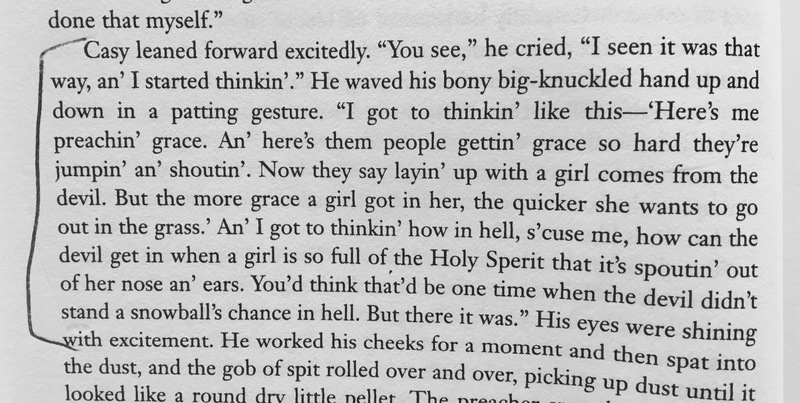 The passage above is found on page 22 of my edition of “Grapes of Wrath.” It usually takes a book 100 pages or so to build up the momentum to drop a beauty bomb such as that. Steinbeck does it in 20. Bless his Sperit.